This article was originally published on FinDev Gateway. The data is new, but it tells a familiar story. A recent FINCA survey of clients in DR Congo shows that women entrepreneurs are confined to the smallest, least profitable businesses. 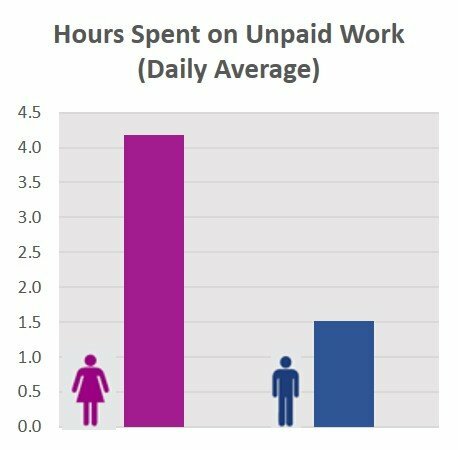 This finding reflects the burden of unpaid work and other social factors that put women at a competitive disadvantage. While many organizations, including FINCA, are working to shift the ground in women’s favor, seeing the facts in hard numbers gives us a realistic picture of the task ahead. Before venturing out of the house and into business, a woman has other tasks to accomplish. Standing between her and the door is a daunting pile of unpaid domestic obligations, including childcare, cleaning, gardening, fetching water, gathering wood and cooking. These activities, which have been valued between 10 to 40 percent of GDP, occupy more than four hours of a woman’s day, compared with 1.5 hours for men. In effect, by the time women get a chance to compete in business, men’s greater freedom of time and movement has given them a three-hour head-start. Once they get past these family obligations, a woman will find that men already occupy the most lucrative business segments. Our survey in the DR Congo found that men dominate sectors like wholesale trade and manufacturing, while women compete among themselves in small trading businesses, where the profits and growth prospects are low. We found inequaltiy across all sizes and types of businesses, but it is worse at the top. Women fare reasonably well in services, where men’s earnings are only 20 percent higher. The difference climbs to 70 percent in retail trade, and a whopping 400 percent in wholesale. 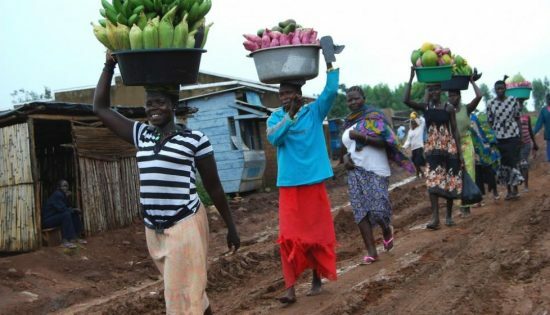 A female wholesaler earns $31 per day, which is probably pretty good by local standards, but her profits are only fraction of the $100 that a man earns in similar activities. This disparity points to other entrenched advantages that men enjoy, including a much higher rate of secondary education. Resistance from family members and safety concerns can restrict women’s movements and the range of activities that they can consider. Until a few years ago, the Family Code in DR Congo even forbade women to sign a contract or work outside the home without their husband’s consent. While the legal framework is gradually improving, cultural norms will take longer to evolve. These social factors have an observable influence on women’s entrepreneurial behavior such as a lower appetite for risk, more reasoned decision-making, and a drive for personal achievement over profits. Despite these disadvantages, women can be among the best clients of a financial institution and its most successful banking agents. At FINCA, each day we can directly observe women’s propensity for thrift, their tendency to save, and proven discipline in meeting financial obligations. We also know, however, that the commitment to women’s financial inclusion requires a vision that looks beyond near-term profits toward the goal of a more equal world—and a willingness to accept the costs of getting there. In partnership with Global Affairs Canada (GAC), FINCA will be launching a top-to-bottom gender assessment in DR Congo to make sure that every aspect of the microfinance institution -from research and product design to advertising and service delivery – is geared towards women and, more importantly, helping them prosper. Client-level indicators, such as income and profitability, help us face this challenge with clear heads while keeping us focused on the most important outcomes.